First Aid Training Wigan – Our experienced and highly skilled team of trainers and consultants are able to develop individual training programmes whilst maintaining excellent communications and paying special attention to the detail of our customer’s requirements. All our Trainers are fully qualified professionals with extensive industry experience in their respective fields and are highly skilled. We strongly believe in working with learners, taking into account the needs of individuals with different skills, abilities and experience. Training Solutions North West provide first aid training courses for the workplace, including the First Aid at Work (FAW) and Emergency First Aid at Work (EFAW) training courses. We also deliver Paediatric First Aid training courses for schools and nurseries, meeting the Early Years Foundation Stage (EYFS) requirements, Outdoor First Aid Training and courses for Sports and Leisure. First aid training Wigan – For more information on our first aid courses offered by Training Solutions North West and how we can help you find the right training courses for your business please email us or alternatively, call us on 0151 515 0416 and speak with one of our training Consultants. 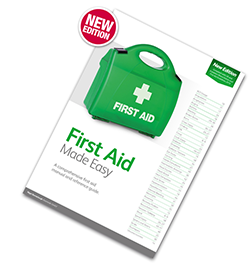 1 Day Emergency First Aid Training delivered directly in your workplace anywhere across Wigan. Courses are delivered throughout 2018 and for a group cost of 6-10 delegates for only £425.00.